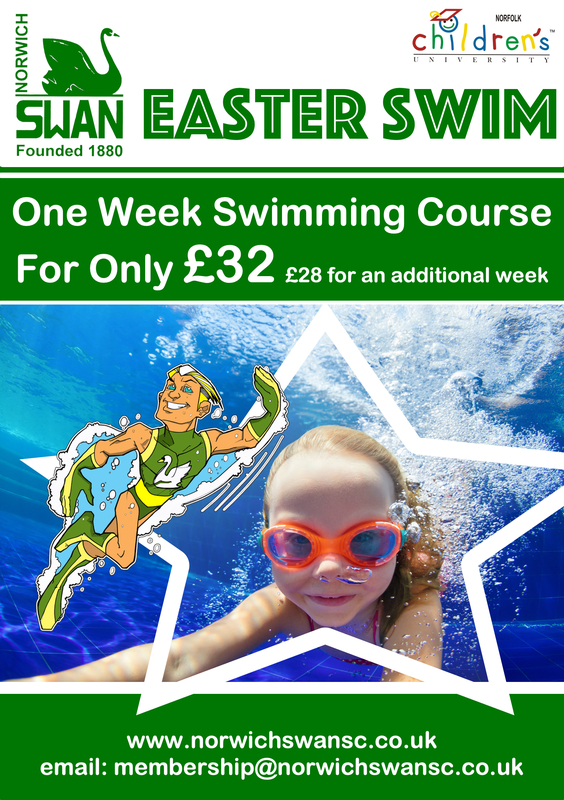 Swan Easter Swim Courses are suitable for children aged 4 years and over. The intensive courses are an ideal opportunity for children to top up their skills or start learning to swim during the school holidays in a fun and safe environment. All of our lessons are taught by ASA or STA qualified swimming teachers and are based on the national plan for teaching Swimming as recommended by the Amateur Swimming Association. As per ASA guidelines all involved adults have a current DBS check. Lessons cost £32 for a 5 day course. Book a second week at the same time for the same swimmer at a reduced rate of £28. Beginners range from no swimming ability up to 10m swimming. Beginners will swim widths, Improvers will swim lengths. We are an accredited Children’s University learning destination. Please bring your Children’s University passport along and we will stamp it for time spent on the swimming course. We ask that Dads accompany their children in the male changing room and Mums accompany their children in the female changing room. Please refrain from taking any photographs in the pool and changing areas. If your child is already registered in our Learn to Swim term time programme and you wish to book a place to boost their swimming during the holidays, please book online through the website. You can do this by logging in and going to the "Learn to Swim" tab and selecting "Easter Swim Course Bookings" from the drop down menu. Follow the instructions to book a place for your swimmer. You will be invoiced for the course through our online billing system. You will need to register a debit or credit card on your account. If you are new to our club and therefore not registered on our website you will need to download an application form and complete this. Please email your completed form to: membership@norwichswansc.co.uk please ensure you provide a telephone number so we can call you and take a card payment and book you in. Look out for information on our Summer Holiday Swimming Courses, coming soon!